Shown is a concept model for a corporate office building, commissioned by the CEO of the company, using base files from our architectural firm. 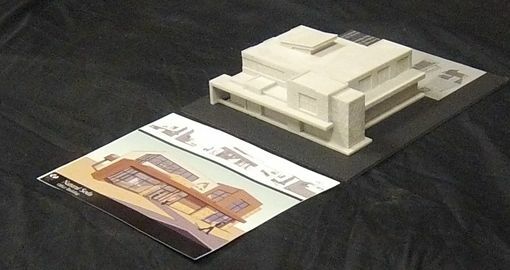 These models are finely detailed, providing an accurate 3D representation of the real thing, in this case a building. The entire model was 3D printed in a single run. We can add a base with graphics, as in the photo, or you can provide your own. Shipping dependent on model weight.